In fifty years of nearly nonstop American warfare, we’ve learned little and achieved less. The United States has been at war—major boots-on-the-ground conflicts and minor interventions, firefights, airstrikes, drone assassination campaigns, occupations, special ops raids, proxy conflicts and covert actions—nearly nonstop since the Vietnam War began. That’s more than half a century of experience with war, American-style, and yet few in our world bother to draw the obvious conclusions. Take for an example the recent freeing of Sergeant Bowe Bergdahl from five years as a captive of the Haqqani network. Much controversy has surrounded it, in part because he was traded for five former Taliban officials long kept uncharged and untried on the American Devil’s Island at Guantanamo Bay, Cuba. It has been suggested that Sgt. Bergdahl deserted his post and his unit in rural Afghanistan, simply walked away—which for opponents of the deal and of President Obama makes the “trade for terrorists” all the more shameful. Our options when it comes to what we know of Bergdahl’s actions are essentially to decry him as a “turncoat” or near-voluntary “terrorist prisoner” or ignore them, go into a “support the troops” mode and hail him as a “hero” of the war. And yet there is a third option. It’s been a commonplace of official opinion and polling data for some time that the American public is “exhausted” with our recent wars, but far too much can be read into that. Responding to such a mood, the president, his administration and the Pentagon have been in a years-long process of “pivoting” from major wars and counterinsurgency campaigns to drone wars, special operations raids and proxy wars across huge swaths of the planet (even while planning for future wars of a very different kind continues). But war itself and the US military remain high on the American agenda. Military or militarized solutions continue to be the go-to response to global problems, the only question being: How much or how little? (In what passes for debate in this country, the president’s opponents regularly label him and his administration “weak” for not doubling down on war, from the Ukraine and Syria to Afghanistan). In such a context, to suggest the sweeping failure of the American military over these last decades without sapping support for the Pentagon and the military-industrial complex would involve making the most breathtaking stab-in-the-back argument in the historical record. 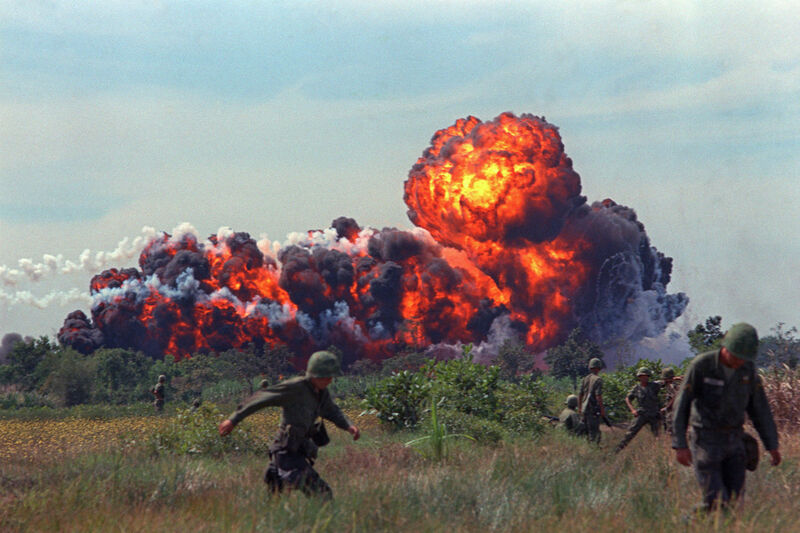 This was tried after the Vietnam War, which engendered a vast antiwar movement at home. It was at least conceivable at the time to blame defeat on that movement, a “liberal” media and lily-livered, micromanaging politicians. Even then, however, the stab-in-the-back version of the war never quite stuck and in all subsequent wars, support for the military among the political class and everywhere else has been so high, the obligatory need to “support the troops”—left, right and center—so great that such an explanation would have been ludicrous. 1. American-style war doesn’t work. Just ask yourself: Are there fewer terrorists or more in our world almost 13 years after the 9/11 attacks? Are Al Qaeda-like groups more or less common? Are they more or less well organized? Do they have more or fewer members? The answers to those questions are obvious: more, more, more and more. In fact, according to a new RAND report, between 2010 and 2013 alone, jihadist groups grew by 58 percent, their fighters doubled and their attacks nearly tripled. On September 12, 2001, Al Qaeda was a relatively small organization with a few camps in arguably the most feudal and backward country on the planet, and tiny numbers of adherents scattered elsewhere around the world. Today, Al Qaeda–style outfits and jihadist groups control significant parts of Syria, Iraq, Pakistan and even Yemen, and are thriving and spreading in parts of Africa as well. Or try questions like these: Is Iraq a peaceful, liberated state allied with and under Washington’s aegis, with “enduring camps” filled with US troops on its territory? Or is it a riven, embattled, dilapidated country whose government is close to Iran and some of whose Sunni-dominated areas are under the control of a group that is more extreme than Al Qaeda? Is Afghanistan a peaceful, thriving, liberated land under the American aegis, or are Americans still fighting there almost 13 years later against the Taliban, an impossible-to-defeat minority movement it once destroyed and then, because it couldn’t stop fighting the “war on terror,”helped revive? Is Washington now supporting a weak, corrupt central government in a country that once again is planting record opium crops? 2. American-style wars don’t solve problems. In these years, you could argue that not a single US military campaign or militarized act ordered by Washington solved a single problem anywhere. In fact, it’s possible that just about every military move Washington has made only increased the burden of problems on this planet. To make the case, you don’t even have to focus on the obvious like, for example, the way a special operations and drone campaign in Yemen has actually Al Qaeda-ized some of that country’s rural areas. Take instead a rare Washington “success”: the killing of Osama bin Laden in a special ops raid in Abbottabad, Pakistan. (And leave aside the way even that act was over-militarized: an unarmed Bin Laden was shot down in his Pakistani lair largely, it’s plausible to assume, because officials in Washington feared what once would have been the American way—putting him on trial in a US civilian court for his crimes.) We now know that, in the hunt for bin Laden, the CIA launched a fake hepatitis B vaccination project. Though it proved of no use, once revealed it made local jihadists so nervous about medical health teams that they began killing groups of polio vaccination workers, an urge that has since spread to Boko Haram-controlled areas of Nigeria. In this way, according to Columbia University public health expert Leslie Roberts, “the distrust sowed by the sham campaign in Pakistan could conceivably postpone polio eradication for 20 years, leading to 100,000 more cases that might otherwise not have occurred.” The CIA has since promised not to do it again, but too late—and who at this point would believe the Agency anyway? This was, to say the least, an unanticipated consequence of the search for bin Laden, but blowback everywhere, invariably unexpected, has been a hallmark of American campaigns of all sorts. 3. American-style war is a destabilizing force. Just look at the effects of American war in the twenty-first century. It’s clear, for instance, that the US invasion of Iraq in 2003 unleashed a brutal, bloody, Sunni-Shiite civil war across the region (as well as the Arab Spring, one might argue). One result of that invasion and the subsequent occupation, as well as of the wars and civil wars that followed: the deaths of hundreds of thousands of Iraqis, Syrians and Lebanese, while major areas of Syria and some parts of Iraq have fallen into the hands of armed supporters of Al Qaeda or, in one major case, a group that didn’t find that organization extreme enough. A significant part of the oil heartlands of the planet is, that is, being destabilized. Meanwhile, the US war in Afghanistan and the CIA’s drone assassination campaign in the tribal borderlands of neighboring Pakistan have destabilized that country, which now has its own fierce Taliban movement. The 2011 US intervention in Libya initially seemed like a triumph, as had the invasions of Iraq and Afghanistan before it. Libyan autocrat Muammar Qaddafi was overthrown and the rebels swept into power. Like Afghanistan and Iraq, however, Libya is now a basket case, riven by competing militias and ambitious generals, largely ungovernable, and an open wound for the region. Arms from Qaddafi’s looted arsenals have made their way into the hands of Islamist rebels and jihadist extremists from the Sinai Peninsula to Mali, from Northern Africa to northern Nigeria, where Boko Haram is entrenched. It is even possible, as Nick Turse has done, to trace the growing US military presence in Africa to the destabilization of parts of that continent. 4. The US military can’t win its wars. This is so obvious (though seldom said) that it hardly has to be explained. The US military has not won a serious engagement since World War II: the results of wars in Korea, Vietnam, Afghanistan and Iraq ranged from stalemate to defeat and disaster. With the exception of a couple of campaigns against essentially no one (in Grenada and Panama), nothing, including the “Global War on Terror,” would qualify as a success on its own terms, no less anyone else’s. This was true, strategically speaking, despite the fact that, in all these wars, the United States controlled the air space, the seas (where relevant) and just about any field of battle where the enemy might be met. Its firepower was overwhelming and its ability to lose in small-scale combat just about nil. It would be folly to imagine that this record represents the historical norm. It doesn’t. It might be more relevant to suggest that the sorts of imperial wars and wars of pacification the United States has fought in recent times, often against poorly armed, minimally trained, minority insurgencies (or terror outfits), are simply unwinnable. They seem to generate their own resistance. Their brutalities and even their “victories” simply act as recruitment posters for the enemy. 5. The US military is not “the finest fighting force the world has ever known” or “the greatest force for human liberation the world has ever known,” or any of the similar over-the-top descriptions that US presidents are now regularly obligated to use. If you want the explanation for why this is so, see points one through four above. A military whose way of war doesn’t work, doesn’t solve problems, destabilizes whatever it touches and never wins simply can’t be the greatest in history, no matter the firepower it musters. If you really need further proof of this, think about the crisis and scandals linked to the Veterans Administration. They are visibly the fruit of a military mired in frustration, despair and defeat, not a triumphant one holding high history’s banner of victory. As in Iraq, Washington has a way of sending in the Marines, setting the demons loose, leaving town and then wondering how in the world things got so bad—as if it had no responsibility for what happened. Don’t think, by the way, that no one ever warned us either. Who, for instance, remembers Arab League head Amr Moussa saying in 2004 that the United States had opened the “gates of hell” in its invasion and occupation of Iraq? Who remembers the vast antiwar movement in the United States and around the world that tried to stop the launching of that invasion, the hundreds of thousands of people who took to the streets to warn of the dangers before it was too late? In fact, being in that antiwar movement more or less guaranteed that ever after you couldn’t appear on the op-ed pages of America’s major papers to discuss the disaster you had predicted. The only people asked to comment were those who had carried it out, beaten the drums for it, or offered the mildest tsk-tsk about it.